Chateau / Country House2260 sq. ft. The tastefull and atmospheric 200 m2 house is located in our 2,300 m2 garden. It is surrounded by old oaks, pines, cornfields and grapevines. All eight rooms have open fireplaces. Each of the four bedrooms has either a bathtub, shower or washing cabinet. Baby beds are available upon request. 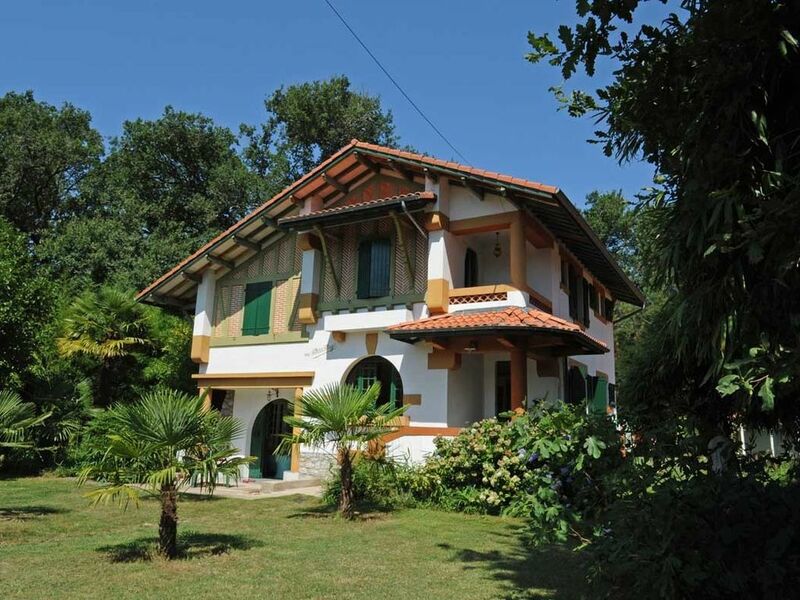 The house is well away from tourist bustle, the sea is just twenty minutes away by car (18 km). A second, smaller house on the neighbouring property can also be rented. On the groungfloor is a separate toilette. There are two living-rooms, one with TV, the other, just to and read, to surf or for aglas of wine and a relaxing conversation. There is a separate dining-room.